“We are a blip. A speck of dust. like you might a bike chain’s rust. Electrolyte is a multi-award-winning piece of gig theatre that powerfully explores mental health for a contemporary audience. 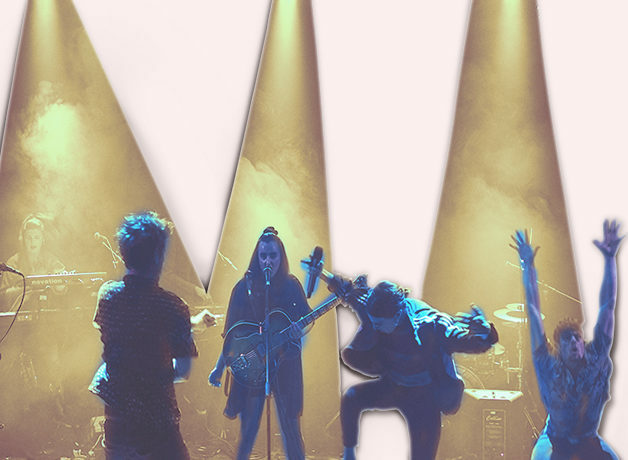 Written in spoken word poetry and underscored by original music ranging from “blasts of sound to lyrical sweetness”, this unstoppable production is performed by six multi-instrumentalists who seamlessly integrate live music with expert storytelling. Want to know more about Wildcard? Wildcard is an Associate Company of The Watermill Theatre and is supported by English Touring Theatre’s Artist Development Programme: Forge and Theatr Clwyd’s Artist Develop Programme: TYFU/GROW. Wildcard was created in the Summer of 2015, with a dual purpose: to revitalise theatre and become a home for emerging artists. This is the backbone of the company’s approach to programming.